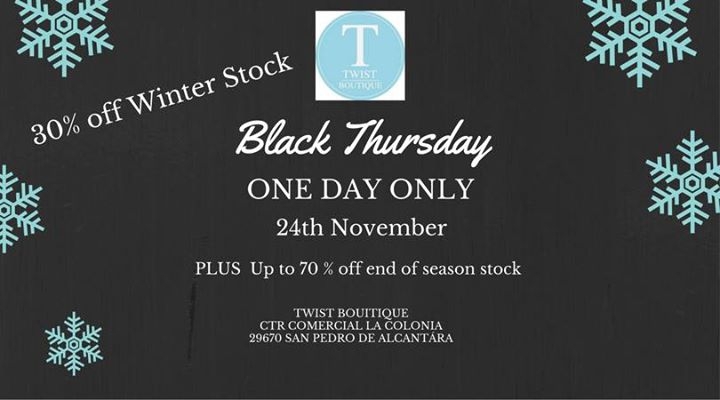 For one day only Twist Boutique in La Colonia San Pedro will be hosting a huge sale with up to 70% off their winter stock! The perfect opportunity to treat yourself to a new outfit or perhaps to buy some nice Christmas presents too. The shop will open from 10am until late.